From being body shamed to taking the audience by surprise with her 'size zero' frame, from getting married at the peak of her career to walking the fashion ramp flaunting her baby bump and returning to work immediately after giving birth -- actress Kareena Kapoor Khan has done it all and more. 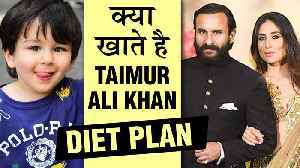 After giving birth to her first baby, Taimur Ali Khan in 2016, she has been constantly striking a balance between family and her professional life. She is busy with two films -- "Good News" opposite Akshay Kumar and "Takht"